TEAM Hair and Makeup Teach & Play Beauty Workshop Las Vegas March 10th-12th! TEAM Hair & Makeup is excited to be hosting our Teach & Play Beauty Workshop March 10th, 11th & 12th at the MGM Grand Signature Suites, during WPPI! 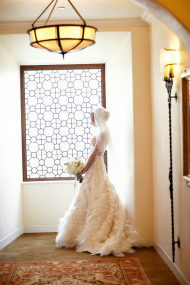 Elegant Biltmore Wedding Featured on Style Me Pretty! The decadence of this wedding has me grinning from ear to ear on this rainy Wednesday. From the bride’s gown with intricate detailing to the lush greenery surrounding this very handsome couple, XOXO Bride did a beyond fabulous job putting this day into reality. 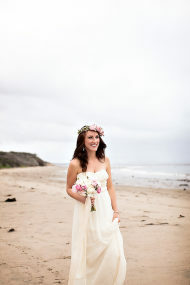 And the stunning work from Miki & Sonja Photography seals the deal for my love of the west coast. That’s it, I am packing my bags and heading over to the gallery to get some palm trees in my life-stat! From Sonia Hopkins… Lauren, an interior design enthusiast, chose navy blue, silver, ivories and crystal for the color pallet to this elegant wedding. The design worked so well with the understated elements of the Four Seasons Resort The Biltmore. The church, Our Lady of Mount Carmel, was the perfect location for their ceremony. The decadence of the church with its rich history and textural feeling provided warmth while they said their vows. She chose navy linens and napkins with crystal cut wine glasses and silver urns and vases to accent. The guest seating cards rested on old world vintage trays passed down throughout their family. Camille of Modern Day Designs expertly sculpted the blooms and used tall glass candelabras dripping in crystals. The soft candle light glistened off the crystals from the vases to the wine glasses providing the beautiful soft glow to the room. The day was beautifully captured by Miki and Sonja Photography. Featured on Borrowed & Blue! This Santa Barbara wedding is the reason that we live and breathe weddings. It’s perfectly put together, while having a relaxed vibe, and everything works together so beautifully it takes our breath away a little. Every wedding that we get from Willa Kveta Photography is stunning, but this one is really something special. The bride, Devon, just radiates beauty and joy, and we can tell that Lance feels the same way. Devon + Lance have the kind of love story that we all dream about; met at the age of 14, started dating after college, and have been together ever since. I don’t think there is anything sweeter than that. We could watch these two lovebirds frolic around the gorgeous grounds of this private estate all afternoon….just perfect. Our wedding inspiration was ‘rustic elegance’. It was on our family ranch so we wanted to use as much of the outdoors and what the local plants and food of Santa Barbara had to offer. We met at the ripe age of 14. We went to the same high school and were around the same friends. We were always friends and then started dating 2 years after college. We have been together ever since. We plan on staying local in Southern california. We would like to reside in San Clemente and have 4 kids. God willing, 3 of our own and one adopted. I can already tell Cara and Greg’s wedding is going to be one of my very favorites of the entire year! Every detail is absolute perfection! From the picturesque setting at Sherwood Country Club in Thousand Oaks, California, to Cara’s breathtaking Monique Lhuillier gown and everything in between, these images from Jessica Lewis Photography will send your heart aflutter. Chef David Laufer of Four Seasons Hotel Westlake Village made a simple, elegant buttercream cake festooned with single flowers. 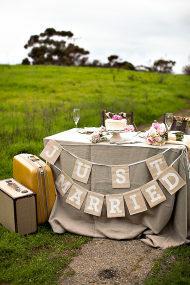 We especially love the vintage touches and vignettes throughout the reception! The flowing Bill Levkoff bridesmaids dresses are so pretty with the cream and blush bouquets—we really would wear those again! See even more gorgeousness in the gallery! 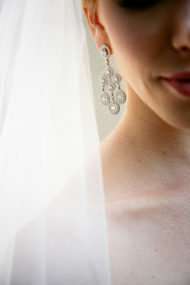 *Jessica Lewis Photography is a member of the EAD Vendor Guide. To find vendors in your area, click here, or if you are a vendor interested in applying, click here. Bacara Wedding Featured on Style Me Pretty! When a wedding this pretty comes across our desk, it’s not just a happy day. It’s like this big sigh of “this is why I am never allowed to complain about my job” happy day. Because in life, beauty this rich and layered is decidedly rare and it easily reminds you that even on your cloudiest day, when it comes to weddings, all is good in the world. Designed by the lovely Joy de Vivre with flowers by Modern Day Design and imagery by our friends Michael & Anna Costa, I could live and die in this celebration alone. Click here to see so much more. Photography By / Michael & Anna Costa Photographers Ltd.
From the Bride… Steve and I met my last year of college. We had tons of mutual friends but didn’t get around to being friends until he had already graduated. We went on our first date soon after meeting, and from then on, we were pretty inseparable. When Steve asked me to marry him in July 2011, there was no question of where we’d get married – Santa Barbara. Being the planner that I am, I started reading Style Me Pretty religiously and putting together inspiration boards for our future wedding. I am from Northern California, Steve is from Washington, and we live in LA, but Santa Barbara holds a special place in our heart. Living in LA, it’s a place we like to visit at least once a year for so many reasons – the palm trees and Spanish architecture, the intimate feeling of a small city, the fact that you can go wine tasting and walk on the beach in the same day…oh and the perfect weather! Since all guests but two had to travel into town, we wanted them to be able to make a vacation out of the trip. Bacara is an amazing resort with multiple pools, ocean views, and tons of activities. We were able to use the whole resort from the Rehearsal Dinner in the Spa Cafe, Welcome Reception on Ocean Terrance, and Newlywed Brunch on the Miro Lawn. Our one goal for the weekend was to make sure our guests had an amazing time the whole weekend, and we couldn’t be happier with our decision to get married at Bacara. 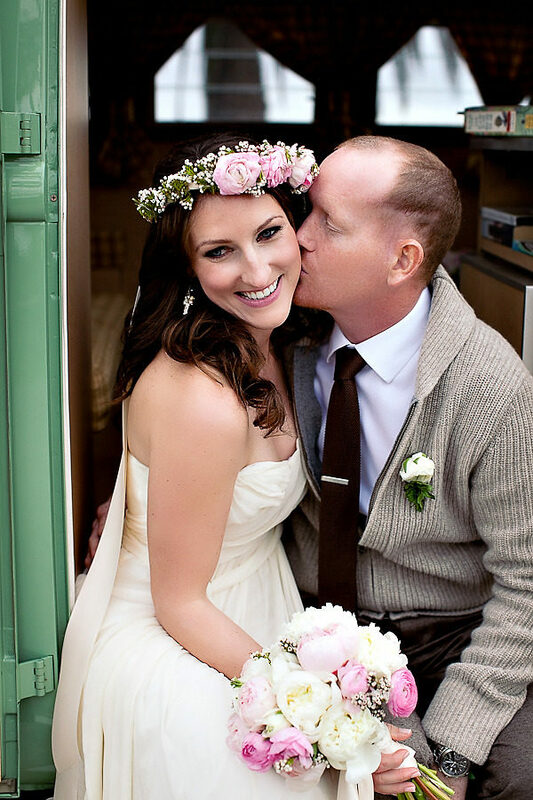 I always had a vision of what I wanted our wedding to look like – soft, pretty, and intimate. We put this look together with TONS of chandeliers, candles, muted colors, mercury glass, and wood. I think my favorite details of the day were the handmade wooden signage and 21 chandeliers that filled the beautiful tent we put up on the Ocean Lawn. Tracy Lazaro also did a beautiful job with all the paper products and calligraphy. I think my favorite moments of the wedding were seeing our friends and family dance together…and the late night cigar bar and pizza were a nice touch! It was a day full of love, friendship, and family, and it was better than we could have ever imagined. Bella Vista Designs, Inc, Julie Song Ink, La Tavola Fine Linen Rental, Lazaro Press & Design, Michael & Anna Costa Photographers Ltd., Rising Moon Films and TEAM Hair and Makeup are members of our Little Black Book. For more information on how members are chosen, click here. Amsale, BHLDN and J.Crew are members of our Look Book. For more information on how members are chosen, click here. 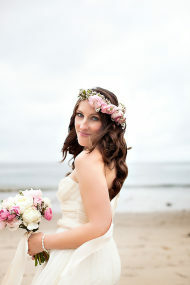 Santa Barbara Elopement Featured on Style Me Pretty! As I sit here at my computer on a otherwise normal Monday afternoon, tears are slowly trickling down my face. Those tears? They are from reading this Bride’s description of not only her beautiful big day, but also her love. Her through thick and thin, unconditional love for her amazing groom, who happens to be surviving cancer. But on this day, this beautiful day captured by Ashleigh Taylor Photography with the talents of TEAM Hair and Makeup on duty, he is just a man who couldn’t be happier to marry the women of his dreams. To wrap his arms around this amazing person he gets to call his wife, and that honestly makes my heart melt. 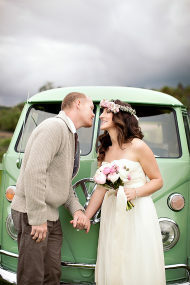 See so much more of this sweet elopement right here. From TEAM Hair and Makeup… When Jessica called the studio to inquire just 2 days before their elopement & told us their story, we cleared our schedules to make sure we were available to make her look and feel as beautiful as ever on her wedding day. We decided to give her a complete makeover, adding in custom extensions, styling her hair & makeup, getting her nails done and giving her a pearl bracelet to match her pearl earrings. We didn’t want Jessica & Norm to miss out on anything so we staged a place in our studio for them to have their first look & their first dance, topping it off with a glass of champagne. We captured photos and video so that they could look back and remember these special moments. Seeing Jessica & Norm together and the overflowing love and strong bond that they have for one another is both touching and truly inspirational. We felt that their story should be heard and we wanted to do what we could to help support them and their journey. Although Norm is doing well now, in almost all cases, with this type of cancer, it comes back. People who live 3-4 years are extreme success stories and there is one account of someone living 7 years after the diagnosis, which is near miracle status. Norm and Jessica hope to be a miracle story, and make history with his recovery. They are with the right doctor, who is on the breaking edge of science in this field. They are extremely confident & hopeful that Norm will be able to beat this, but in order to do so they need your help. Although Norm does have insurance, it certainly does not cover everything and their medical bills are piling up. They are grateful for any donations given to them. In order to donate follow this link. 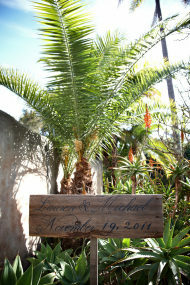 From the Bride… My husband Norman and I eloped in Santa Barbara on 12-12-12. Our wedding was not the one of our dreams, but it was better! Norm and I have been together four and a half years. We met a week after I moved to Las Vegas and were giddy in love from day one. Norm and I were ready to marry long before we did. The big obstacle in our way was cancer. Norm had a seizure in January and was diagnosed with grade 4 brain cancer, glioblastoma multiforme. By September, he had SIX brain surgeries. He has fought through chemo-radiation, tumor recurrence, and bi-weekly infusions. Putting his health first, we postponed our wedding. A few weeks ago, I unveiled to Norm his new blogsite. He cried happy tears and said he also had a surprise. “I’ve been thinking a lot about when we should get married, and I can’t think of a better date than 12-12-12.” The date was set. Without seeing his next MRI though, we could make no wedding or travel plans. We decided we would marry on 12-12-12, no matter what. Whether in the infusion center, in a hospital room after another surgery, or in the Cedars-Sinai chapel, we were getting married! Great news came on November 28, when Norm had a perfect MRI! We had been prepared for the worst and now we had a wedding to plan!! We took a couple of days to get our thoughts around what was best for us. 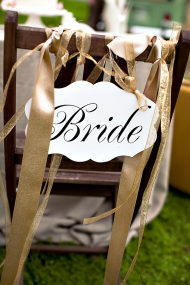 We quickly realized that a traditional wedding and reception would cost more than we could justify spending. We wanted our day to be special, but had to be responsible and save money toward future treatments. With less than two weeks notice, flying family cross country was also not realistic. We decided to elope. 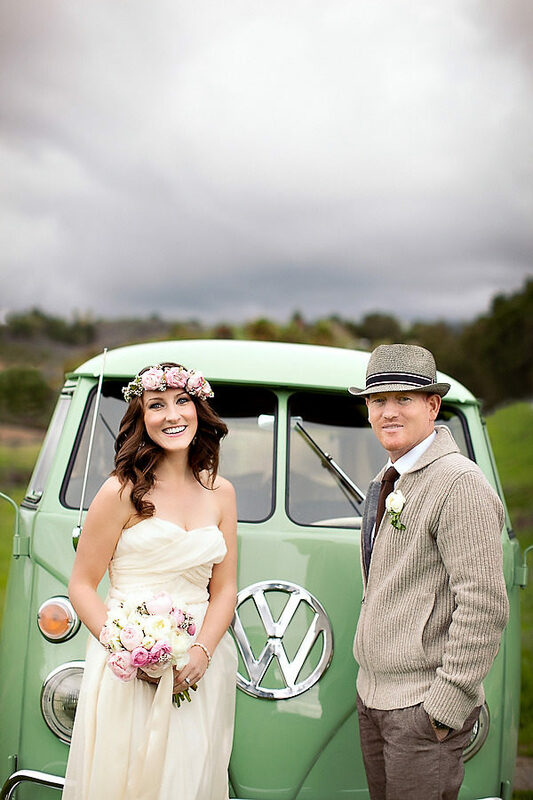 Norm always wanted to take our restored 1966 VW bus up the coast of California. This was one of those dreams we never “had time” for before. 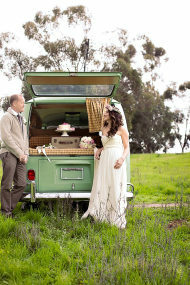 Why not fulfill this dream with a road trip elopement? 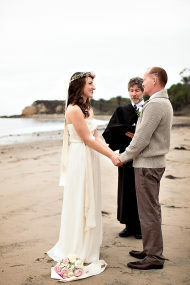 We decided on a beach ceremony near Santa Barbara and photos in the rolling hills that Norm and I both love. Afterwards, we would take off, free as (love) birds in our bus. Norm and I love photography, and I wanted to capture the carefree spirit and adventure of our day. Thank goodness for Style Me Pretty! 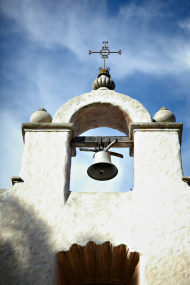 I spent hours looking at the blog and gathering vendor info for the Santa Barbara area. We booked our photographer first, then bought Norm’s wedding band and outfit. I ordered a dress online from J. Crew. It was delivered to our doorstep four days before the wedding! In the end, our vendors really made the day. With very little notice and a tiny budget, they worked together to make our day better than we ever dreamed! Ashleigh Taylor Henning suggested a beach location, and pointed me toward Simply Bouquets and Crushcakes. She went above and beyond for us and made us feel like we were the cutest couple in the entire world. Mar & Nicole with TEAM Hair & Makeup stepped in like a surrogate family on the morning of 12-12-12. They created excitement that had a ripple effect through the entire day. Not wanting us to miss a thing, they staged our first look and first dance in their studio. They lit candles and downloaded our songs from iTunes, just moments before my groom arrived. They played John Denver’s “Annie’s Song” as Norm walked around the corner to see me for the first time. That first look brought me to tears and was the most special part of the day. Thank you Mar for working your magic! Our families were also with us that day in spirit, if not in person. Norm and I carried with us reminders of our loved ones: his mother’s diamond, a “wedding ring” quilt from my grandmother, earrings from my grandfather, his grandparents’ wedding rings from Germany, and many more. On one shoe, I wore a flower clip that I had worn 20 years earlier as flower girl in my aunt’s wedding. We drove our mint green “Happy Bus” to Refugio Beach. Our wedding officiant had worked with us over the phone and through email to make sure the ceremony was personalized and everything we wanted it to be. With our photographer as witness, we said the vows that we had wanted to say for so long. We kissed and were introduced to the world as Mr. and Mrs. Norman Bruns! That day was, far and above, the best day of my life. Norm and I are more in love than ever before. He is still the man I fell in love with: kind-hearted, positive, always up for an adventure or a good laugh. I think our wedding day was in that same spirit! Thanks to all who made it so special! La Tavola Fine Linen Rental and TEAM Hair and Makeup are members of our Little Black Book. For more information on how members are chosen, click here. J.Crew is a member of our Look Book. For more information on how members are chosen, click here.